Visitors to this website are bound by the following terms and conditions so please read the following terms carefully before continuing to use this site if you do not agree with any of these terms. Although Reliance Securities Limited tries to ensure that all information and materials, whether in relation to the products, services, facilities, offerings or otherwise (hereinafter "Information") provided as part of this website is correct at the time of inclusion on the web site, it does not guarantee the accuracy of the Information. Reliance Securities makes no representations or warranties as to the completeness or adequacy or accuracy of Information and expressly disclaims liability for any errors or omissions or delays in updating this information. Information is supplied upon the condition that the persons receiving the same will make their own determination as to its suitability for their purposes prior to use or in connection with the making of any decision. No Information at this web site shall constitute an invitation to invest in any security or financial product. Any use of this website or the Information is at your own risk. Reliance Securities along with its directors, employees, associates or other representatives and its Affiliates along with its directors, employees, associates or other representatives shall not be liable for damages or injury arising out of or in connection with the use of the Website or its non-use including non-availability, compensatory, direct, indirect or consequential damages, loss of data, income or profit, loss of or damage to property (including without limitation loss of profits, loss or corruption of data, loss of goodwill, work stoppage, computer failure or malfunction, or interruption of business; under any contract, negligence, strict liability or other theory arising out of or relating in any way to the Website, site-related services, or any products or services and claims of third parties damages or injury caused by any performance, failure of performance, error, omission, interruption, deletion, defect, delay in operation or transmission, computer virus, communications line failure, theft or destruction or unauthorized access to, alteration of, or use of information, whether resulting, in whole or in part, from or relating to any of the services offered or displayed by Reliance Securities on the Website. Nothing contained herein is to be construed as a recommendation to use any product or process, , in conflict with any patent, or otherwise and Reliance Securities makes no representation or warranty, express or implied that, the use thereof will not infringe any patent, or otherwise. The Services on the Website do not constitute an offer to sell or a solicitation to any person in any jurisdiction where it is unlawful to make such an offer or solicitation. These Service are not intended to be any form of an investment advertisement, advice or information and has not been registered under any securities law of any foreign jurisdiction and is only for the information of any person in any jurisdiction where it may be lawful to provide such information, otherwise the same shall not be considered an information. The distribution of this Service or content in other jurisdictions may be restricted by law and the persons who access the Service should inform themselves about, and observe, any such restrictions. Use of the website and its contents is at any persons, including a Customer’s, own risk. The data and information provided on the website is not advice, professional or otherwise, and should not be relied upon as such. Neither the information, nor any opinion contained in this website constitutes a solicitation or offer by Reliance Securities to buy or sell any securities or other financial instruments or provide any investment advice. Reliance Securities or their employees have or may have an outstanding position or holding in the securities or other related investments of issuers and companies mentioned herein. The investments discussed or recommended in the analysis, research reports, etc. may not be suitable for all investors. Investors must make their own investment decisions based on their own specific investment objectives and financial position and using such independent professional advisors as they believe necessary. Information herein is believed to be reliable but Reliance Securities does not warrant its completeness or accuracy. The content of the articles and the interpretation of data are solely the personal views of the contributors and do not in any way reflect the views of Reliance Securities. Users are advised to use the articles and other data in the Website only as information. THIS WEBSITE/INFORMATION IS PROVIDED TO YOU ON AN "AS IS" AND "WHERE-IS" BASIS, WITHOUT ANY WARRANTY. Reliance SECURITIES, FOR ITSELF AND ANY THIRD PARTY PROVIDING MATERIALS, SERVICES, OR CONTENT TO THIS WEBSITE, MAKES NO REPRESENTATIONS OR WARRANTIES, EITHER EXPRESS, IMPLIED, STATUTORY OR OTHERWISE OF MERCHANTABILITY, FITNESS FOR A PARTICULAR PURPOSE, OR NON-INFRINGEMENT OF THIRD PARTY RIGHTS, WITH RESPECT TO THE WEBSITE, THE INFORMATION OR ANY PRODUCTS OR SERVICES TO WHICH THE INFORMATION REFERS. Reliance SECURITIES WILL NOT BE LIABLE TO YOU OR ANY THIRD PARTY FOR ANY DAMAGES OF ANY KIND, INCLUDING BUT NOT LIMITED TO, DIRECT, INDIRECT, INCIDENTAL, CONSEQUENTIAL OR PUNITIVE DAMAGES, ARISING FROM OR CONNECTED WITH THE SITE, INCLUDING BUT NOT LIMITED TO, YOUR USE OF THIS SITE OR YOUR INABILITY TO USE THE SITE, EVEN IF Reliance SECURITIES HAS PREVIOUSLY BEEN ADVISED OF THE POSSIBILITY OF SUCH DAMAGES. Reliance Securities controls and operates this web site from India and makes no representation that the materials are appropriate or will be available for use in other locations. If you use this web site from outside the India , you are entirely responsible for compliance with all applicable local laws. Information that Reliance Securities publishes on the World Wide Web may contain references or cross references to Reliance Securities products, programs and services that are not announced or available in your country. Such references do not imply that Reliance Securities intends to announce such products, programs or services in your country. Consult Reliance Securities directly for information regarding the products, programs and services that may be available to you. In your use of the web site, you may enter into correspondence with, offering services from, or participate in promotions of advertisers or members or sponsors of the web site. Unless otherwise stated, any such correspondence, advertisement, purchase or promotion, including the delivery of and the payment for services, and any other term, condition, warranty or representation associated with such correspondence, or promotion, is solely between you and the applicable third party. You agree that Reliance Securities has no liability, obligation or responsibility for any such correspondence, purchase or promotion between you and any such third party. This website may be linked to other websites on the World Wide Web that are not under the control of or maintained by Reliance Securities. Such links do not indicate any responsibility or endorsement on our part for the external website concerned, its contents or the links displayed on it. These links are provided only as a convenience, in order to help you find relevant websites, services and/or products that may be of interest to you, quickly and easily. It is your responsibility to decide whether any services and/or products available through any of these websites are suitable for your purposes. Reliance Securities is not responsible for the owners or operators of these websites or for any goods or services they supply or for the content of their websites and does not give or enter into any conditions, warranties or other terms or representations in relation to any of these or accept any liability in relation to any of these (including any liability arising out of any claim that the content of any external web site to which this web site includes a link infringes the intellectual property rights of any third party). This web site contains material, including text, graphics and sound, which is protected by copyright and/or other intellectual property rights. All copyright and other intellectual property rights in this material are either owned by Reliance Securities or have been licensed to Reliance Securities by the owner(s) of those rights so that it can use this material as part of this web site. Reliance Securities retains copyright on all Information, including text, graphics and sound and all trademarks displayed on this web site are owned by Reliance Securities and used under license by Reliance Securities affiliates. Use and display the materials only on your personal computer only for personal use. Reliance Securities grants you a limited, personal, non-exclusive and non- transferable license only for such use. use and display the materials only on your personal computer only for personal use. Reliance Securities grants you a limited, personal, non-exclusive and non- transferable license only for such use. The 'Reliance Securities', logos denoted with' or ® are trademarks or registered trademarks of Reliance Securities or its affiliates. Reliance Securities trademarks may not be used in connection with any product or service that is not a Reliance Securities product or service. Reliance Securities does not routinely monitor your postings to the web site but reserves the right to do so. However, in our efforts to promote good citizenship within the Internet community, if Reliance Securities becomes aware of inappropriate use of the web site or any of its Services, Reliance Securities will respond in any way that, in its sole discretion, Reliance Securities deems appropriate. You acknowledge that Reliance Securities will have the right to report to law enforcement authorities any actions that may be considered illegal, as well as any information it receives of such illegal conduct. When requested, Reliance Securities will co-operate fully with law enforcement agencies in any investigation of alleged illegal activity on the Internet. Submissions and unauthorized use of any materials contained on this web site may violate copyright laws, trademark laws, the laws of privacy and publicity, certain communications statutes and regulations and other applicable laws and regulations. You alone are responsible for your actions or the actions of any person using your user name and/or password. As such, you shall indemnify and hold Reliance Securities and its officers, directors, employees, affiliates, agents, licensors, and business partners harmless from and against any and all loss, costs, damages, liabilities, and expenses (including attorneys' fees) incurred in relation to, arising from, or for the purpose of avoiding, any claim or demand from a third party that your use of the web site or the use of the web site by any person using your user name and/or password (including without limitation your participation in the posting areas or your Submissions) violates any applicable law or regulation, or the rights of any third party. Reliance Securities reserves the right to terminate access to this web site at any time and without notice. Further this limited license terminates automatically, without notice to you, if you breach any of these Terms. Upon termination, you must immediately destroy any downloaded and printed materials. Reliance Securities may at any time revise the Terms by updating the then-current version thereof posted on this web site. By using this web site, you agree to be bound by any such revisions and should therefore periodically visit this page of this web site to determine the most current version of the Terms to which you are bound. Certain provisions of the Terms may be superseded by expressly designated legal notices or terms located on particular pages at this web site. Reliance Securities may change the format and content of this web site at any time. Reliance Securities may suspend the operation of this web site for support or maintenance work, in order to update the content or for any other reason. Upon responding to our advertisements, you may receive offers from Reliance Securities Limited and Reliance Capital Group companies. If you have a question or complaint, please contact us at corporate office. Reliance Securities reserves all other rights. You agree to indemnify, defend and hold Reliance Securities, its and their Affiliates and any of its and their directors, employees, advisors, suppliers, advertisers, agents or sponsors harmless from and against any and all claims, damages, losses, costs (including without limitation reasonable attorneys' fees) or other expenses that arise directly or indirectly out of or from (i) your breach of these Terms and Conditions; (ii) your violation of the undertaking, representation and covenants mentioned above; and/or (iii) your activities in connection with this web site. The maximum liability of Reliance Securities and its Affiliates to the Customer shall be subject to the amount of fees paid by the Customer for the services that he/she may have availed of through the Website or in pursuance of the Offer or the Service. In the event any provision of these terms and conditions is determined by a court of competent jurisdiction to be invalid, illegal or otherwise unenforceable such provision shall be deemed to have been deleted from these terms and conditions, while the remaining provisions shall remain in full force and effect. Reliance Securities 's failure to insist upon or enforce strict performance of any provision of these terms and conditions shall not be construed as a waiver of any provision or right. Neither shall the course of conduct between the parties nor trade practice shall act to modify any provision of these terms and conditions. This disclaimer clause shall be applicable to any person visiting/accessing the Website and/or a Customer entering into an agreement related to availing of the Service offered by Reliance Securities and its Affiliates. The terms & conditions governing individual products will be displayed at the relevant product specific pages in the website. If the client trades in/uses any of the products he will be deemed to have accepted the terms of the respective products as well as these terms. These terms and conditions are governed by and to be interpreted in accordance with laws of India , without regard to the choice or conflicts of law provisions of any jurisdiction. You agree, in the event of any dispute arising in relation to these terms and conditions or any dispute arising in relation to the web site whether in contract or tort or otherwise, to submit to the jurisdiction of the courts located at Mumbai, India for the resolution of all such disputes. The offering of the Service is subject to the requisite permissions, approvals, licenses and any other clearance from the appropriate regulatory authority viz., Securities and Exchange Board of India, National Stock Exchange of India Limited, Bombay Stock Exchange Limited, Mumbai and any other relevant authority that may be the regulatory authority of the Service. SMS service, if any provided to shall be paid information short message service (SMS) for members and/or subscribers (“Subscribers”) registered with Reliance Securities Limited and/or its Affiliates accessible through short number (“the Service”). Subscriber agrees to pay Reliance Securities all charges incurred by the Subscriber for availing the Service. In the event of Subscriber having an account with Reliance Securities, Subscriber agrees, consents, and permits Reliance Securities to recover any dues and charges for the Service availed by him from any balances or monies lying to his credit with Reliance Securities and/or its Affiliates. In all other cases, Subscriber agrees to pay Reliance Securities in the mode and manner as deemed fit by Reliance Securities and Subscriber shall do so without demur. The Service will endeavour to provide market related information, news etc as decided by Reliance Securities from time to time. The Service is for information purposes only. Reliance Securities makes no representations or warranties regarding the accuracy, completeness or reliability of any information it provides. Reliance Securities assumes no responsibility for errors or omissions in the Service. Users should conduct their own research before acting on any information received through the Service. Reliance Securities shall not be responsible or liable for any losses, costs, expenses, charges, including notional losses/lost opportunities incurred by a User as a result of acting or non acting on any information/material received through the Service. All information that may be provided on this Service or part thereof shall be on an "as is" basis and as sourced from the various service providers of Reliance Securities. Service is subject to co-operation by mobile telephony operator of Subscriber of the Service. Reliance Securities shall not be held responsible or liable for any breakdown of operator network, non-availability of Service due to technical defects, or other operator related issues. All material provided as part of the Service shall be for personal use of the Subscriber and not for commercial use. No Subscriber shall distribute, disseminate or part with any material received from the Service to any person or entity whether in oral, electronic or digital form. It is expressly agreed by the Subscriber that exclusive jurisdiction for any dispute with Reliance Securities resides in the courts at Mumbai and the user expressly consents to the exercise of jurisdiction in the courts of Mumbai in connection any such dispute. These terms shall be governed by and construed in accordance with the laws of India. Any notice to Reliance Securities shall be by Registered Post Acknowledgement Due addressed to: Reliance Securities Ltd, 11th Floor, R-Tech Park, Nirlon Compound, Western Express Highway, Land mark - Near Hub, behind Oracle Building, Goregaon (East), Mumbai - 400063. By subscribing to the Service, the Subscriber agrees to these terms. Mobile Telephony Operator charges shall apply. Service subject to operator services. Past performance may not be an indicator of future returns. All investments and investment related decisions are at the sole discretion of the Subscriber. The views and investment tips expressed by investment experts or analysts or persons claiming to be domain experts on the Service are their own, and not that of Reliance Securities or its management. Reliance Securities advises users to check with certified experts before taking any investment decision. Reliance Securities does not guarantee the accuracy, adequacy or completeness of any information and is not responsible for any errors or omissions or for the results obtained from the use of such information. Reliance Securities especially states that it has no financial liability whatsoever to any Subscriber on account of the use of information provided as part of the Service. 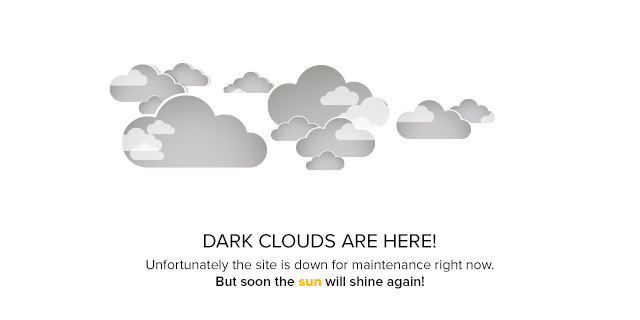 Subscribers are advised to understand that the Services can fail due to failure of hardware, software, and Internet connections. While Reliance Securities will endeavour that the messages are delivered in time to the Subscribers mobile network, the delivery of these messages to the Subscriber's mobile phone/handset is the responsibility of the Subscriber's mobile network. SMS may be delayed and/or not delivered to the Subscriber's mobile phone/handset, owing to technical reasons that can only be addressed by the Subscriber's mobile network/service provider, and Reliance Securities and/or its employees, officers, and directors and/or its service providers cannot be held responsible for the same. Trading in stocks, stock derivatives, and the like is inherently risky and Subscriber agrees to assume complete and full responsibility for the outcomes of all trading decisions that Subscriber makes, including but not limited to loss of capital. None of the trading calls made on the Service by any person or entity should be construed as an offer to buy or sell securities, nor advice to do so. Subscriber should not construe any information to constitute investment advice. It is purely informational in nature. All Subscribers may use the information as a resource only to further their own research on all featured companies, stocks, sectors, markets and information received. Nothing published through the Service should be considered as investment advice. All investments and investment products are subject to governmental, regulatory and relevant Exchange rules, regulations and guidelines. Any contests featured as part of the Service shall be subject to their own rules, and regulations and Subscriber shall be bound by the same. The Service contains material, including text, graphics and sound, which is protected by copyright and/or other intellectual property rights. All copyright and other intellectual property rights in this material are either owned by Reliance Securities or have been licensed to Reliance Securities by the owner(s) of those rights so that it can use this material as part of this service. Reliance Securities retains copyright on all Information, including text, graphics and sound and all trademarks displayed on this service are owned by Reliance Securities and used under license by Reliance Securities affiliates. Reliance Securities does not accept any responsibility or liability or guarantee the performance or merchantability of any product or services offered by any party pursuant to any advertisement or promotional material that may be received by the User as part of the Service and the same lies specifically with the advertiser. RSEC may, in its sole discretion, refuse to offer the Site's services to any person or entity and change its eligibility criteria at any time. This provision is void where prohibited by law and the right to access the Site's services is revoked in those jurisdictions. The entire "market data" is sourced from "An external data content agency" and we are not to be responsible for its "integrity / availability" of the same. is in violation of any applicable law or contractual obligation. Your User ID can be used for managing and transacting all transactions relating to any product or services of RSEC Group Entities. One User ID enables you to have a single login ID for viewing and transacting all your product and service needs across RSEC Group Entities. One User ID can be created by you on the website of any RSEC Group Entities by using your login credentials as registered with the respective RSEC Group Entities while availing the products / services and completing the authentication procedure in the manner specified at the time of creation of One User ID. You may choose not to create One User ID in which case you will not be able to display all your products across RSEC Group Entities on one page. RSEC reserves the right in its sole discretion to refuse registration of or cancel a User ID, domain name, and project name. You are solely responsible for activity that occurs on your account and shall be responsible for maintaining the confidentiality of your password for the Site. You shall never use another User account without the other User's expressed permission. You will immediately notify RSEC in writing of any unauthorized use of your account, or other known account-related security breach. You may deactivate your account at any time you desire giving prior notice to RSEC. You also understand and agree that though you may delete your account or some information from your account, the same may still appear in some online searches. RSEC has no control over the search results that show up in such third party engines or websites. RSEC and its group/affiliates are not liable for loss damages caused by any performance, failure of performance, error, omission, interruption, deletion, defect, delay in transmission or operations, computer virus, communications line failure, and unauthorized access to the personal accounts. RSEC is not responsible for any technical failure or malfunctioning of the software or delays of any kind. We are also not responsible for non-receipt of registration details or e-mails. Users shall bear all responsibility of keeping the password secure. RSEC is not responsible for the loss or misuse of the password. reject, cancel, interrupt, remove, or suspend any project at any time and for any reason. RSEC will not disclose your Personal Information with any unaffiliated third parties without your prior written consent which shall include electronic consent save and except where such information shall be disclosed in good faith and for the purpose of law for the time being in force or to protect the rights and property of www.reliancesmartmoney.com. In your use of the website, you may enter into correspondence with, purchase goods and/or services from, or participate in promotions of advertisers or members or sponsors of the website. Unless otherwise stated, any such correspondence, advertisement, purchase or promotion, including the delivery of and the payment for goods and/or services, and any other term, condition, warranty or representation associated with such correspondence, purchase or promotion, is solely between you and the applicable third party. You agree that RSEC has no liability, obligation or responsibility for any such correspondence, purchase or promotion between you and any such third party. This website may be linked to other websites on the World Wide Web that are not under the control of or maintained by RSEC. Such links do not indicate any responsibility or endorsement on our part for the external website concerned, its contents or the links displayed on it. These links are provided only as a convenience, in order to help you find relevant websites, services and/or products that may be of interest to you, quickly and easily. It is your responsibility to decide whether any services and/or products available through any of these websites are suitable for your purposes. RSEC is not responsible for the owners or operators of these websites or for any goods or services they supply or for the content of their websites and does not give or enter into any conditions, warranties or other terms or representations in relation to any of these or accept any liability in relation to any of these (including any liability arising out of any claim that the content of any external web site to which this web site includes a link infringes the intellectual property rights of any third party). they are capable (in case of an individual, being above 18 years of age) and duly authorized (in case of a legal entity, by way of appropriate corporate approvals) to enter into the agreement or arrangement, on behalf of himself, any other person, company, or other entity. Impersonates any person or entity, including any employee or representative of the RSEC. not make any negative, denigrating or defamatory statement(s) or comment(s) about RSEC or the brand name or domain name used by RSEC, or otherwise engage in any conduct or action that might tarnish the image or reputation, of RSEC on any platform or otherwise tarnish or dilute any of RSEC’s trade or service marks, trade name and/or goodwill associated with such trade or service marks, trade name as may be owned or used by us. You agree that you will not take any action that imposes an unreasonable or disproportionately large load on the infrastructure of the Site or RSEC’s systems or networks, or any systems or networks connected to RSEC. remove or block any User or User submission. RSEC reserves the right not to comment on the reasons for any of these actions. RSEC tries to ensure that all Contents provided as part of this website is correct at the time of inclusion on the web site, however RSEC does not guarantee the accuracy of the Contents including information and recommendations, whether in relation to the products, services, offerings or otherwise. RSEC makes no representations or warranties as to the completeness or accuracy of Contents or Information. RSEC makes no commitment to update or correct any Content and or Information that appears on the internet or on this website. Information or Content is supplied upon the condition that the persons receiving the same will make their own determination as to its suitability for their purposes prior to use or in connection with the making of any decision. No Content at this website shall constitute an invitation to invest in RSEC Group Entities. Any use of this website or the Content/Information is at your own risk. Neither RSEC and or other RSEC Group Entities, nor their officers, employees or agents shall be liable for any loss, damage or expense arising out of any access to, use of, or reliance upon, this website or the Information, or any website linked to this website. Nothing contained herein is to be construed as a recommendation to use any product, process, equipment or formulation, in conflict with any patent, or otherwise and RSEC makes no representation or warranty, express or implied that, the use thereof will not infringe any patent, or otherwise. RSEC Group Entities shall not be liable, at any time, for any failure of performance, error, omission, interruption, deletion, defect, delay in operation or transmission, computer virus, communications line failure, theft or destruction or unauthorized access to, alteration of, or use of information contained at this site. This website is provided to you on an "as is" and "where-is" basis, without any warranty. RSEC, for itself and any third party providing materials, services, or content to this website, makes no representations or warranties, either express, implied, statutory or otherwise of merchantability, fitness for a particular purpose, or non-infringement of third party rights, with respect to the website, the information or any products or services to which the information refers. RSEC will not be liable to you or any third party for any damages of any kind, including but not limited to, direct, indirect, incidental, consequential or punitive damages, arising from or connected with the site, including but not limited to, your use of this site or your inability to use the site, even if RSEC has previously been advised of the possibility of such damages. RSEC controls and operates this Site from India and makes no representation that the materials are appropriate or will be available for use in other locations. If you use this web site from outside the India, you are entirely responsible for compliance with all applicable local laws. RSEC does not make any warranty or representation that a User in one region may obtain the services from the RSEC’s Site in another region and RSEC may cancel a User's order or redirect a User to the site for that User's region if a User attempts to order services or products offered on a Site in another region. Information that RSEC publishes on the World Wide Web may contain references or cross references to RSEC Group Entities’ products, programs and services that are not announced or available in your country. Such references do not imply that RSEC intends to announce such products, programs or services in your country. Consult your local RSEC Group Entities’ business contact for information regarding the products, programs and services that may be available to you. Some states or countries do not allow limitations on how long an implied warranty lasts, so the above limitations may not apply to you. The Company makes no guaranty of confidentiality or privacy of any communication or information transmitted on the Site or any website linked to the Site. RSEC will not be liable for the privacy of email addresses, registration and identification information, disk space, communications, confidential or trade-secret information, or any other Content stored on the Company's equipment, transmitted over networks accessed by the Site, or otherwise connected with your use of the services or products. The Company will not be liable for the privacy of Information including email addresses, registration and identification information, disk space, communications, confidential or trade-secret information, or any other Content stored on the Company's equipment, transmitted over networks accessed by the Site, or otherwise connected with your use of the services or products. The Content, services or products on the Site are not intended to provide any legal, tax or financial or securities related advice. Accordingly, before making any final decisions or implementing any financial strategy, you should consider obtaining additional information and advice from your advisor or other financial advisers who are fully aware of your individual circumstances. You authorise us to use/disseminate the information to provide the financial solutions and various options which are generally available basis your investment profile or those which are generally held by persons of similar investment profile, however it is not necessarily for you to act on it. This website contains material, including text, /images, graphics, video and sound, which is protected by copyright and/or other intellectual property rights. All copyright and other intellectual property rights in this material are either owned by RSEC or have been licensed to RSEC by the owner(s) of those rights so that it can use this material as part of this website. RSEC retains copyright on all Contents, including text, graphics and sound and all trademarks displayed on this website are owned by RSEC and used under licence by RSEC Group Entities. You agree that the Site contains Content provided by RSEC and its business partners and Users and that the Content may be protected by copyrights, trademarks, service marks, patents, trade secrets, or other rights and laws. You shall abide by and maintain all copyright and other legal notices, information, and restrictions contained in any Content accessed through the Service. RSEC grants to each User of the Site a worldwide, non-exclusive, non-sub-licensable and non-transferable license to use and reproduce the Content, solely for personal, non-commercial use. Use, reproduction, modification, distribution, or storage of any Content for other than personal, non-commercial use is prohibited without prior written permission from RSEC, or from the copyright holder. You shall not sell, license, rent, or otherwise use or exploit any Content for commercial use or in any way that violates any third-party right. for any bugs, viruses, trojan horses, or the like (regardless of the source of origination). RSEC shall not be liable for any failure to perform its obligations hereunder where the failure results from any cause beyond the RSEC's reasonable control, including, without limitation, third party intervention, change in law or economic circumstances, mechanical, electronic, or communications failure or degradation. You also agree and authorise RSEC Group Entities to contact you at the contact information provided for service related communication relating to your product or facilities offered even if your number is in National Do Not Call Registry. You shall not assign your rights and obligations under this agreement to any other party. The website may assign or delegate its rights and/or obligations under this agreement to any other party in future, directly or indirectly, or to RSEC Group Entities.